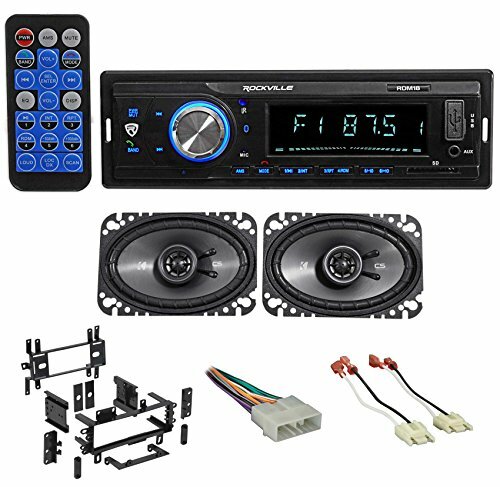 The Rockville RDM18 digital car media receiver is a very simple product to use and it functions and sounds great! This is a digital media receiver which means it does not have a CD player built into it. Not to worry though! Who really uses CD's these days? Instead you get Bluetooth streaming, a USB input, an SD card slot, and a front aux input. You also have your standard AM/FM radio with presets. Our SD slot has a max capacity of 32GB. (Other receiver usually only support up to 8GB. The thing about this model that we are most proud of is the built in amplifier. We spent some extra money manufacturing this with an upgraded amplifier. It is 50x4 watts peak and 17x4 watts RMS. The amplifier built into this receiver is almost the exact same as the leading brands on the market. This receiver also has a 3 band equalizer built in with adjustable EQ curves (rock, pop, flat, etc).